Physician Dr. Hadi Rassael looks back on his decades of medical training and experience, and his route into surgical and non-surgical cosmetic medicine. CHEVY CHASE, MARYLAND, UNITED STATES, March 7, 2019,/EbizNewswire/ — An established and well-respected physician today focused on both surgical and non-surgical cosmetic procedures in the community surrounding Chevy Chase, Maryland, Dr. Hadi Rassael reflects on his years of training, passion for meticulous surgery, and subsequent decades-long career in cosmetic medicine, today at the helm of Millennium Medical. “Prior to first pursuing the goal to be a physician, I’d always harbored a desire to become a surgeon,” reveals Dr. Rassael. This interest drove Dr. Rassael to pursue research into more ENT-focused medicine, and, ultimately, after his general surgery training, to undertake ahead and neck fellowship at the Armed Forces Institute of Pathology. Located in the grounds of the Walter Reed Army Medical Center, also in Washington, D.C., the Armed Forces Institute of Pathology is a U.S. government institution concerned with diagnostic consultation, education, pathology, and medical research. “During my two years of fellowship, I completed extensive research in the fields of head and neck surgery and pathology,” reveals Dr. Rassael. However, as a result of his growing passion for detailed, meticulous surgery, he says, his focus switched to cosmetic medicine where he took it upon himself to become involved in further training both in facial and body cosmetic surgeries. “Here, through independent training, fueled by my own artistic tendencies, and later via my affiliation with the American Academy of Cosmetic Surgery, I was able to fine-tune both my surgical and non-surgical techniques in the field of cosmetic medicine,” Dr. Rassael explains. 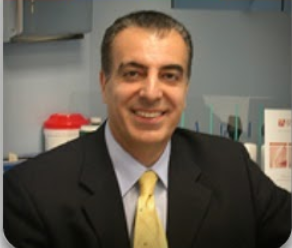 Today in practice for more than 20 years, Dr. Rassael is the founder of Millennium Medical. Based in Friendship Village, Maryland, close to the town of Chevy Chase, cosmetic surgeon Dr. Rassael’s primary focus combines modern technologies and procedures with true expertise to provide cutting-edge breast augmentation, liposuction, facial plastic, hair restoration treatments, and more. A particular expert on hair transplantation, liposuction, breast augmentation, abdominoplasty, and facial plastic surgeries, Dr. Rassael also bears an in-depth knowledge of Botox and other neuromodulators, laser treatments, fillers, non-surgical rejuvenation, and anti-aging treatments.